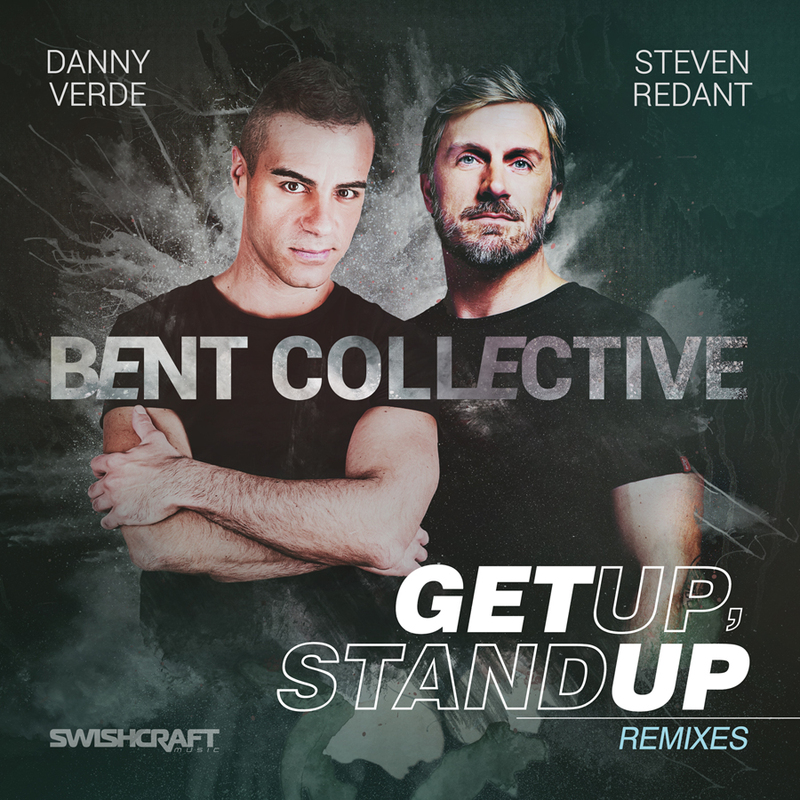 Bent Collective is comprised of two of Europe’s biggest talents, Danny Verde (Italy) and Steven Redant (Madrid), who together and solo, have more that 30 Billboard and World Wide #1 remixes for artists including Cher, Mariah Carey, Cyndi Lauper, Lady Gaga, Avicii, Donna Summer, Selena Gomez, Beyonce, The Wanted, Rihanna, Alexis Jordan, Nick Jonas, Scarlett Rabe, Adam Lambert, Ariana Grande, Clean Bandit Ft. Jess Glynne and many more. In between the solo and duo globetrotting DJ gigs and remixes for many of the worlds biggest artists, Bent Collective have been stealing away time in the studio working on original productions set for release throughout 2016 & 2017. 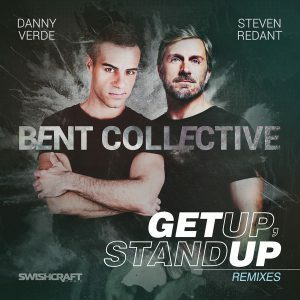 Their first release, for Swishcraft Music, called “Get Up, Stand Up,” is inspired by the Frantique disco classic of the same name. The first EP, on sale now as a Beatport Exclusive, features the Original Club Mix and a massive Peak Time club banger by International superstar Dario Nuñez. Set to drop in September, a second package of remixes rom top producers around the world take the track in exciting directions — with tribal / circuit, tech-house, deep house and 90’s retro house offerings that will fit just about every dance floor. Remixers include Alex Acosta aka Bad Element [Offer Nissim, Martha Wash] , Xavier Santos & Isaac Escalante [J-Lo / Cedric Gervais], Division 4 & Matt Consola [Gwen Stefani / Jess Glynne], Louis Lennon [House of Wallenberg / Mark Wilkinson], Lucius Lowe [Mark Picchiotti / Carolyn Harding] and the powerhouse team behind the most Beatport & Traxsource chart #1’s for tech house in 2015, DeBeatzion’s Cristian Poow & Juan Ferreyro (Funk Investigation / Eddie Amador & Danny Cohiba]. Listen to the previews for the Remix EP HERE!